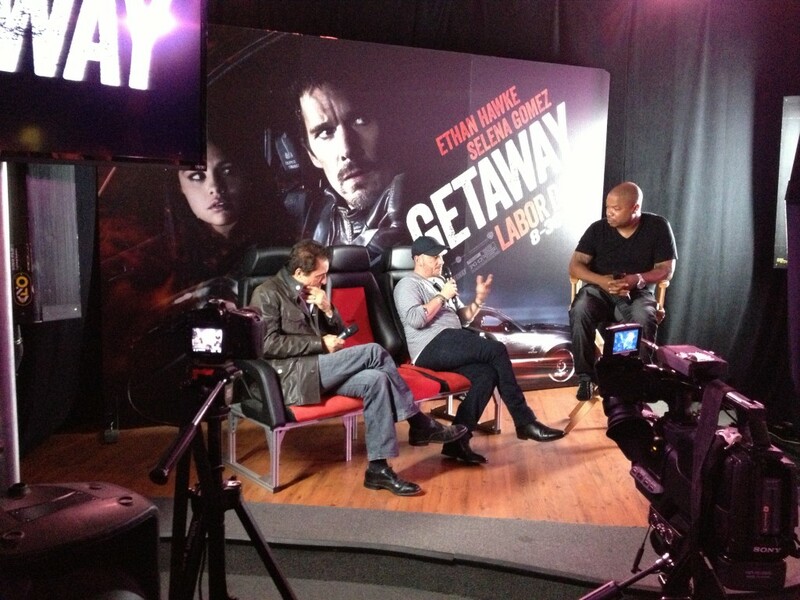 Warner Bros. celebrated the upcoming release of Ethan Hawke thriller, Getaway, in Los Angeles on Tuesday (August 27) with a Q&A session with the film’s director Courtney Soloman and stunt coordinator Charlie Picerni. The event was Hosted by Mr. X to the Z Xzibit. The men discussed the film, its stunts, and the fact that little to no CGI graphics were used in the film’s making… which means that all the stunts were real. More of the Q&A is still to come, however, we have a few pictures & video from the event, which included special guests such as Formula D series driver Justin Pawlek, the creator of the largest Mustang show in the U.S. John Schultz, and Camee Edelbrock, who raced Mustangs for years alongside her father’s friend, Caroll Shelby. 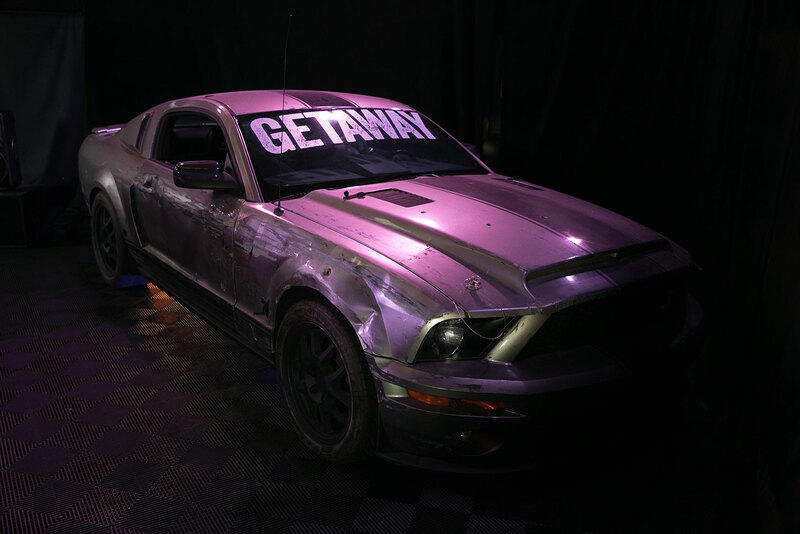 Getaway stars Hawke as Brent Magna, alongside Selena Gomez. He’s a former racer who is in a race against the clock when his wife is kidnapped by a mysterious villain. He takes over a young woman’s car and takes her on on a high-speed race. It’s in theaters now. 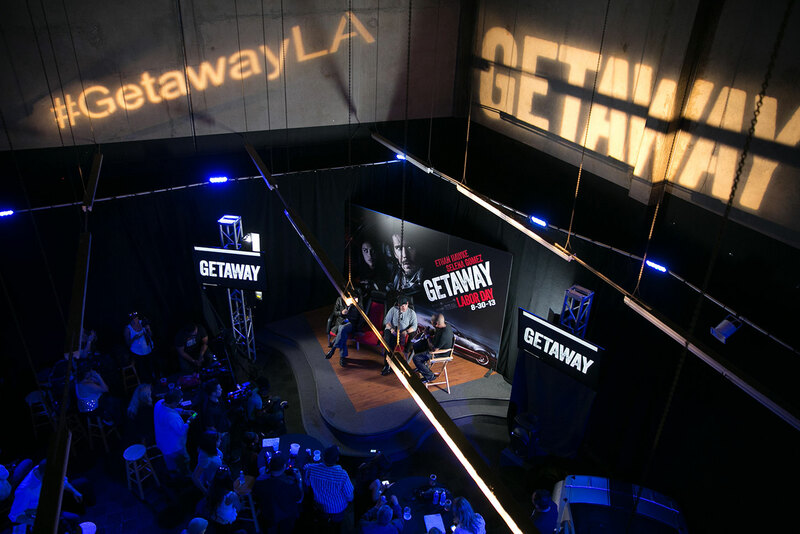 PICTURES: Xzibit hosting the ‘Getaway’ event.